service was in Evergreen Cemetery, Ranger, TX. 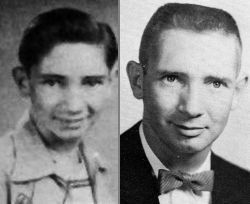 Donald Graham Varner (RHS-1952) in 1995. Don Mac Edwards; and sister-in-law, Jo An Varner.